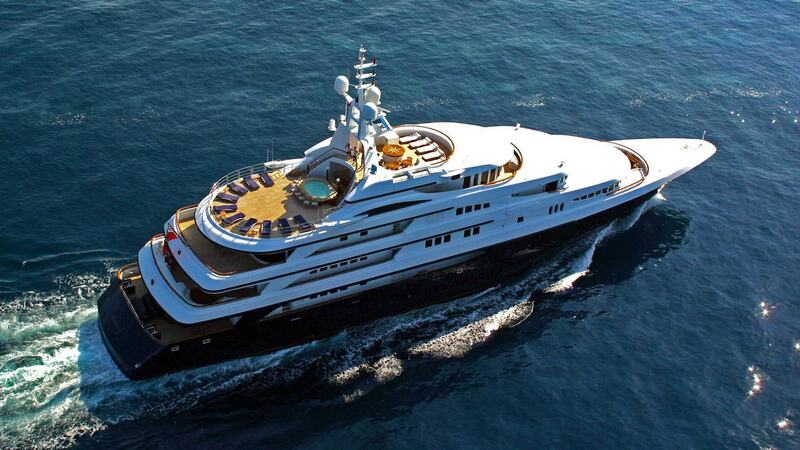 The stunning Freedom is one of the largest and most luxurious yachts on the charter market. Built in 2001, she was extensively refit in 2016 and is in excellent condition. She stands out for her countless amenities including a large gym, spa with beauty parlor and hammam, two Jacuzzis, several dining options including a private dining room and bistro as well as a large toy collection. She is a particularly spacious yacht with six deck levels accommodating twelve guests in eight opulent staterooms. All deck levels are linked by an elevator, and offer a wide range of outdoor and indoor areas ideal for lounging, entertaining and relaxation. Freedom includes an large owner’s suite located on its own private deck. Her professional crew of 25 will offer world-class service and cuisine, making this an unforgettable yachting experience.